A Collection of Traditional and Handmade Didgeridoos. Traditional didgeridoos are termite hollowed, non-Traditional Didgeridoos are hollowed using one of two mechanical techniques. 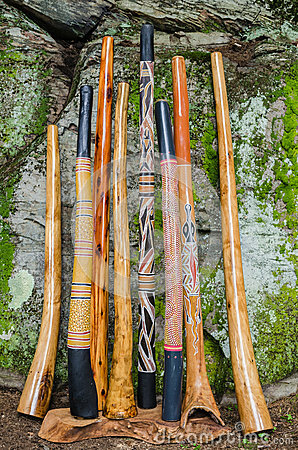 Three of the Didgeridoos shown here were made by the photographer.